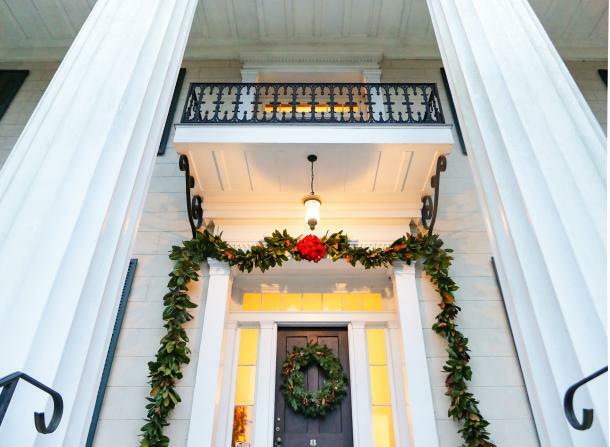 Rose Hill, a Greek Revival home circa 1852, is the centerpiece of the Lockerly Arboretum, and presides over its surroundings with elegance and grace. Richard J. Nichols, a merchant and prominent citizen of Milledgeville, built a home on this site in 1839. The name Rose Hill was chosen because of the abundance of Cherokee Roses that grew on the site. Nichols died in 1849, and his estate was meticulously inventoried. Daniel R. Tucker purchased the home in 1851. In February of that year Tucker’s recently purchased house was “entirely consumed” by fire. Tucker built a new home in 1852 on the site and it is still known today as Rose Hill. 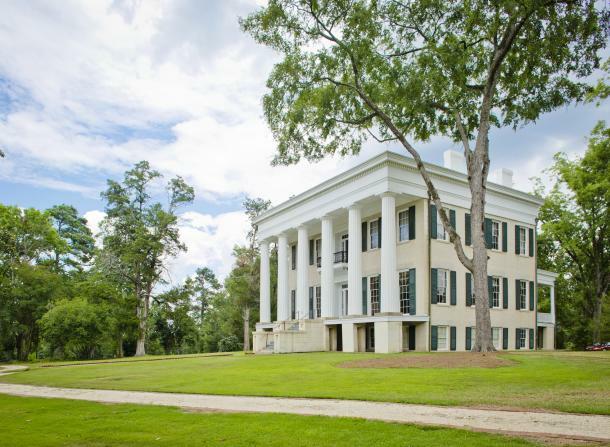 The mansion is a significant example of the finest plantation architecture of the Milledgeville area as well as the entire cotton belt of the Old South. Starting in 2018, Lockerly will be open Monday-Friday from 8:30-4:30 and on Saturdays from 10am to 4pm, only from March 1 to November 15. They will not be open on weekends from November 16 to February 28. There is no charge to visit the gardens. 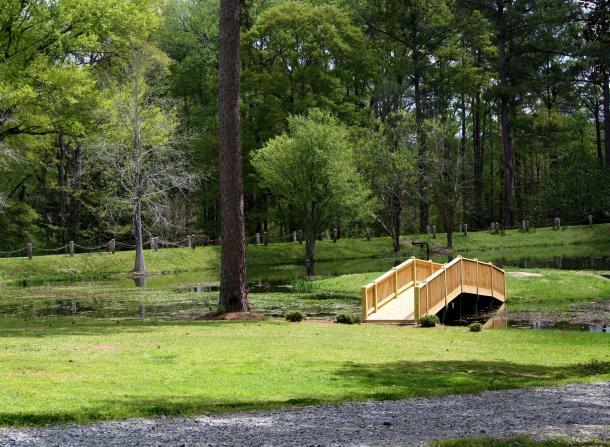 Self-guided tours of Rose Hill are available at a cost of $3.00 per adult and $1.00 for children. 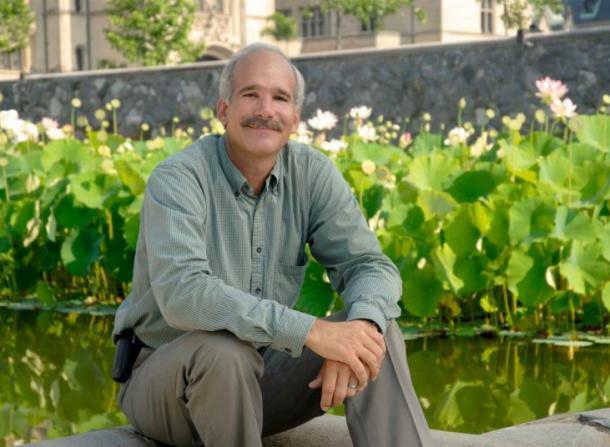 July through Labor Day the Arboretum is closed on the weekends. Visitors can walk the trails, bring a picnic lunch to enjoy at the tables near the pond, watch birds and wildlife, and explore the mansion. There is no charge to visit the gardens. Self-guided Rose Hill tours are $3.00 for adults and $1.00 for children. Veterans may tour the house at no cost during regular hours. Coordinated group tour pricing is available, please call for rates. All dogs must be kept on a leash and owners are asked to clean up after their pets. 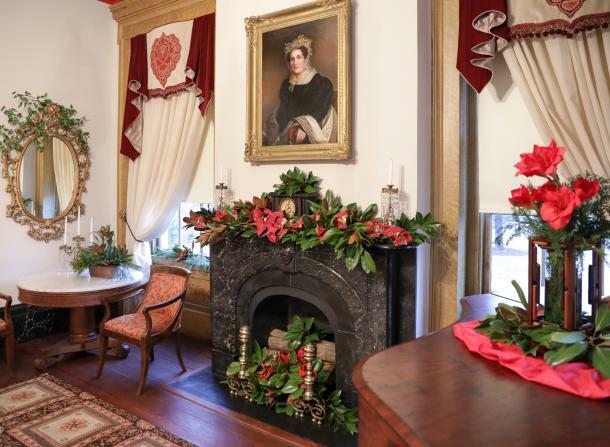 Be the first to tour Rose Hill's wonderful Christmas decorations! Tickets are $35 for members and $40 for non-members.